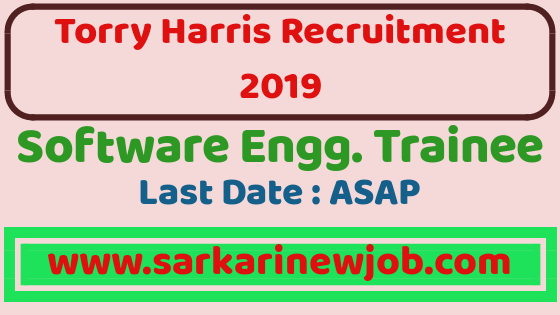 Torry Harris Recruitment 2019 – Software Engineer ( trainee ) | BE/BTech/ME/MTech – Freshers can Apply - Sarkarinewjob.com A ultimate job portal to provide employment news. About the Company: Torry Harris Business Solutions has got great opportunities for freshers. As an expansion plan we are looking to hire Associate Software Engineer Trainees.